Taylor Woolwine is an artist and art educator originally from Williamstown, West Virginia. He received his BFA in painting from the Columbus College of Art and Design in 2010 and his MFA in painting from Indiana University in 2014. 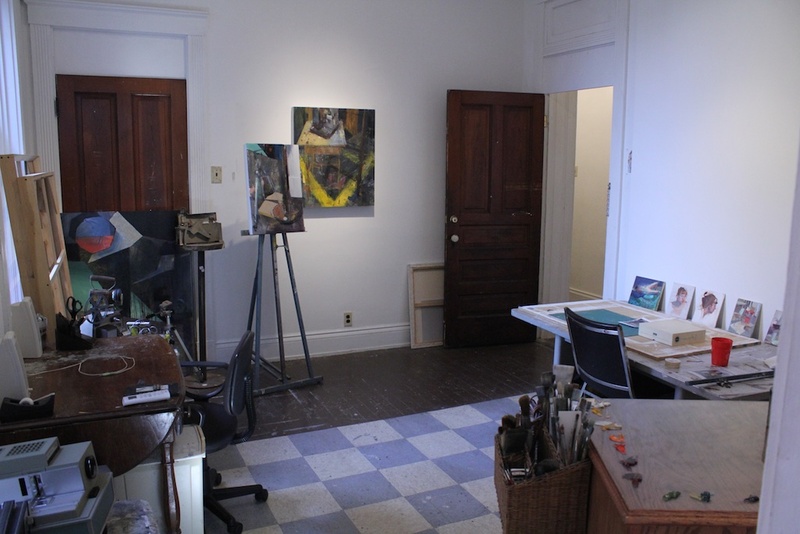 Recent exhibitions include Painting/Printmaking at Fuller Projects in Bloomington, IN, MFA Group Show at the Grunwald Gallery in Bloomington and Rites of Passage at Manifest Gallery. 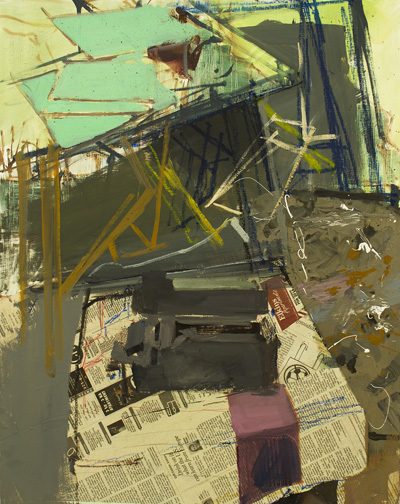 Recent honors include the Friends of Art Award in Painting from Indiana University. He recently served as Associate Instructor within the fundamentals department of Indiana University Bloomington. Through the parameters of the studio as subject, I make paintings that investigate perception, space, and the image-making process. 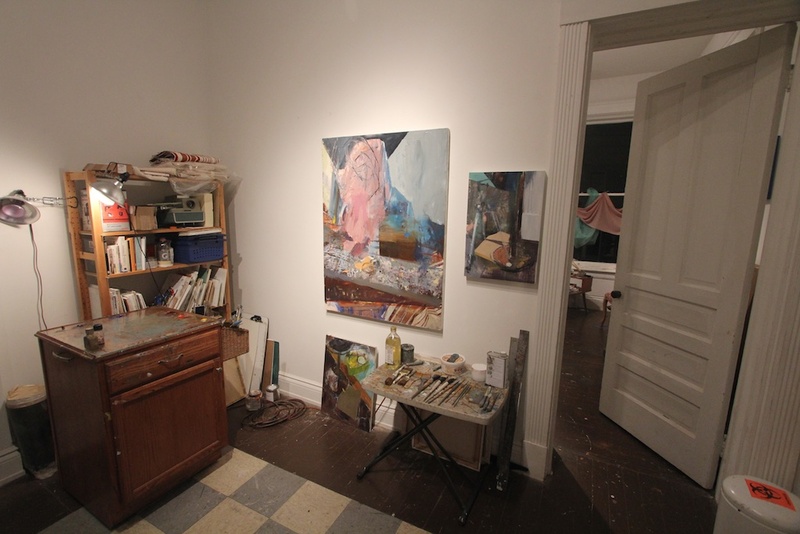 My work-space and its accumulation of strange objects has remained the impetus for each new painting, but the final images often vary. 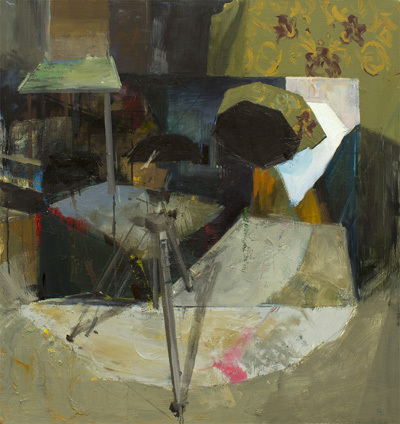 On one hand I am interested in the act of painting space from observation, and how so many variables exist in the process: shifting light, three steps left, or a twist of the neck can all radically change a painting's trajectory. I intentionally and systematically seek out these variables while painting. By often changing my perspective and subsequently layering imagery, multiple objects are allowed to occupy the same exact physical space. Objects crystallize and fall apart in a way that relates to remembrance and forgetting, and to a chronological cycle of production and erosion. The images produced are layered, busy, and anxious, and reflect the chaos of the natural world and the impossibility of grasping it. Most recently the paintings have become increasingly abstract, some paintings spawning directly from the last finished image. My love of naturalism and depiction both melds and clashes with my interest in flatness and abstraction. A new world of space is formed, full of contradiction. They are flat surface and full of depth, mysterious and banal, smooth and rough, manufactured and organic, all contributing to a specific kind of somewhere that is nowhere at all. The dichotomy of form combined with multiple readings gives the paintings a new spark of intensity and vigor. This page will serve as Manifest's MAR document for Taylor's Residency. We will occasionally update it with news, studio pictures, and works made while at Manifest. The images pictured at right are a sampling of those submitted with his application.